Oakland’s Real Estate Coverage was recently covered by CoStar. Oakland has recently drawn leases by tech firm, Square, and insurance giant, Blue Shield of California, that total more than half a million square feet. 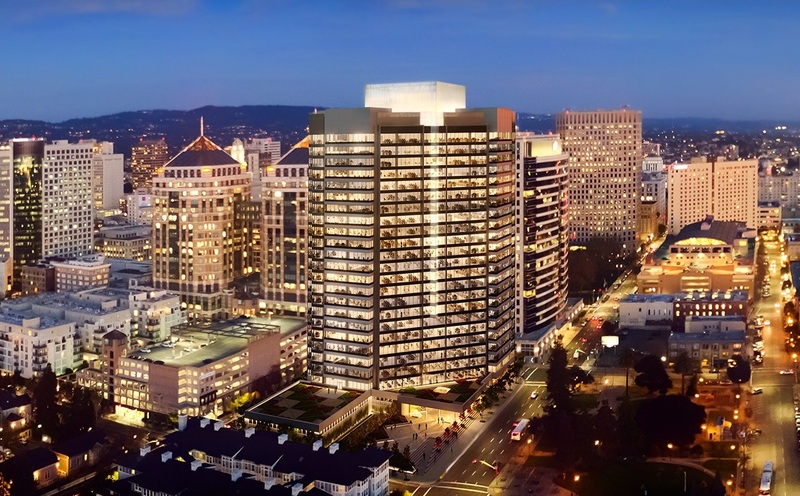 Additionally, developers are planning almost 1 million square feet in additional office space, the greatest amount of new development in more than a decade in Downtown Oakland. The crime rate in Oakland began to rise in the 1960s and 1970s which contributed to the city’s difficulty with attracting businesses. Although, as tech companies such as Salesforce and Facebook expand across the Bay Area at record speed, Oakland is becoming a popular alternative destination for a millennial workforce- and companies want to capitalize on them. While some companies are expanding into the Tri-Valley area, many firms have recognized that if they want to attract employees, they need to be Downtown. Recent research has shown that millennials and younger people like a downtown environment, where they can easily go shopping on a lunch break or grab a drink after hours. Even with the recent surge in companies looking for office space in Oakland, the area has a 10.3% office vacancy rate. The rate has risen almost 1 percentage point in the past year. Oakland is smaller and more affordable than its high profile neighbors, San Francisco, and Silicon Valley, both for office space and residents. Average office rent in Oakland is $55/square foot a year compared with about $73/square foot a year in San Francisco. Although part of what’s fueling Oakland has less to do with the city than it does with the spillover demand from San Francisco. Fewer than a handful of spaces are available for companies that want more than 100,000 square feet of office space in the city; the office vacancy rate is 6.5%. Oakland could benefit from tenants priced out of San Francisco and from growing companies unable to secure a large block of space in San Francisco’s Financial District. Blue Shield of California will relocate a number of employees from San Francisco to Oakland in a 200,000 SF deal. Additionally, the 657,000 SF under construction in 2017 and the 345,000 SF under construction in 2018 are the first meaningful amounts of new building to get started since 2006. There has also been approval for a 750,000 SF office building that will take up a whole city block. Tech firm, Square’s, recent lease of Uptown Station exemplifies Oakland’s ability to attract marquee tenants. The arrival of Square could signal to other tech companies that Oakland is the next frontier in the Bay Area. Commercial real estate in Oakland is surging with the recent sale of the Tribune Tower, an iconic Oakland building at 409 13th Street. It was recently sold to Highbridge Capital Management for $48 million, more than double the $20 million paid for it in 2016. “Oakland is committed to attracting businesses whose values align with our community, whose workforce reflects our inclusivity, and whose greatest priority is the long-term prosperity of every Oakland resident,” said Oakland Mayor Libby Schaaf. The Tri-Valley has started to boom with more than 450 tech companies with locations in the area. The Tri-Valley encompasses six suburbs; Pleasanton, Livermore, Dublin, San Ramon, Danville, and Alamo; cities along the crossroads of Interstates 580 and 680. Now that so many tech companies have moved into the area, employment surged 35% from 2006-2016, outpacing both San Francisco and Silicon Valley. Residents of the Tri-Valley cities have fought to preserve their communities, voting down development proposals and adopting a legal force field called an urban growth boundary to limit sprawl by drawing a perimeter for construction in certain areas. Although, many of the assets that made slow growers want to protect the Tri-Valley from the impacts of development- its location, open land, safe suburban neighborhoods, relatively affordable home prices, good schools, and transit options- are exactly the reasons for the region’s explosion. Even before the tech companies exploded in the Tri-Valley area, the region boasted top-tier schools. Now, there are sky-high graduation rates of 97% and support from a community that allocated millions of dollars to updating school facilities and technology. The talent and level of education and the great schools there fuel the innovative ecosystem. One of the things that is most attractive to businesses looking at the region is that culture of innovation. When companies got wind of the Tri-Valley area that boasted an attractive talent pool, more affordable commercial rents, and enough space to promise shorter commutes they set up shop in the area. Industry heavyweights such as Verizon, IBM, Chevron, Boeing, Morgan Stanley, and Walmart now have major offices in the area. This cut employees’ commute times to 30 minutes or less. In addition, there are public transit options in the works to connect the San Joaquin Valley and the Tri-Valley; the rail line is expected to be up and running by 2024. The Livermore Amador Valley Transit Authority (LAVTA) increased bus services to run more frequently and feed right into the BART stations in the area. Recently, LAVTA has even started testing driverless shuttles. The boom in the Tri-Valley has put a surge on the housing market, with the typical home in the area being on the market for no more than 30 days. There were six times as many jobs as housing units created in the Tri-Valley between 2010 and 2015. Looking at the Tri-Valley by the numbers; 27% of residents are under 20 years old and 361,000 people live in the area, which is above 5% of the Bay Area’s total population. 50% of residents with jobs outside the home commute 30 minutes or less, 19% of jobs are in tech sectors, and 60% of Tri-Valley residents have a bachelor’s degree or higher. 2% of students drop out of high school, there has been a 26% increase in the cost of living since 2007, the Tri-Valley boasts a $42 billion GDP, and 25% increase in wages since 2007. Although the Tri-Valley is currently the boomtown of the Bay Area, there are many other fast-growing cities in the East Bay that are expected to become major hubs as well. Between July 2016 and July 2017, Newark, Brentwood, Oakley, Dublin, and Albany grew 3.5%, 2.9%, 2.4%, 2.1%, and 1.9%, respectively.